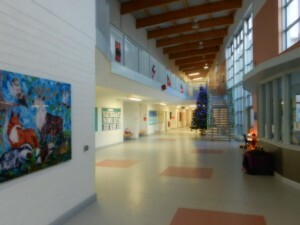 Scoil Bhríde is a co-educational, primary school, catering for children from Junior Infants to Sixth Class. It is located in the Oldtown area of Naas. Scoil Bhríde was established on 1st September 2005 when it opened its doors to fifty two Junior Infants, three teachers and one Special Needs Assistant. In October 2005 the school appointed a Language Support Teacher and a Special Education Teacher (shared with two other schools in Naas). The school was initially based in the GAA Centre and in March 2006 we moved to our state- of- the- art building. The school has grown rapidly and in September 2013, had an enrolment of 695 students. Scoil Bhríde has three classes at each level from Junior Infants to Sixth Class and three Special Classes for children with Autistic Spectrum Disorders. We have thirty-nine teachers, eleven Special Needs Assistants a Secretary and a Caretaker. Scoil Bhríde has a Catholic Ethos and follows the Primary School Curriculum. The building situated on a five acre site in the Oldtown area of Naas is owned by the Department of Education and Skills and is under the patronage of the Catholic Bishop of Kildare and Leighlin, Bishop Denis Nulty. Bishop Nulty met with the teachers at the school on the 28th August 2013 and wished us well for the school year. To facilitate its growing numbers an eight-classroom extension was opened in September 2012.